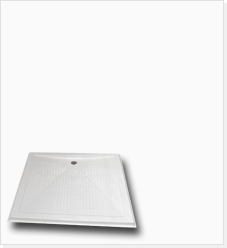 SENSATION assisted slide-in bath offers one of the most spacious internal dimensions in a bath of its kind. 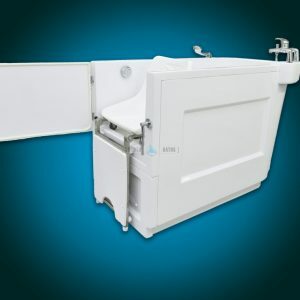 Bathtub’s height allows the carer to work in a comfortable position whilst minimising manual handling risks, resulting in them being able to assist the bather safely and efficiently. Available in a choice of RAL bespoke colors. SENSATION can be positioned in almost any central bathing areas or bathrooms. 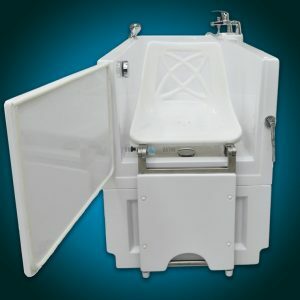 It has been designed with simplicity in mind and the smooth design makes it easy to clean and maintain. 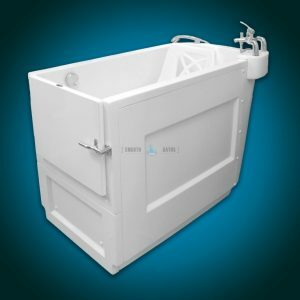 SENSATION PLUS assisted bath is a premium model of SENSATION bath series. 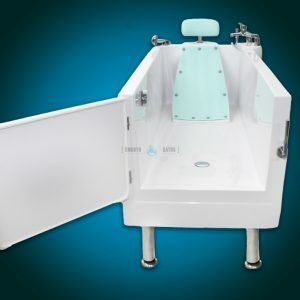 Besides features available in the base model it offers additional installation of hydrotherapy systems. 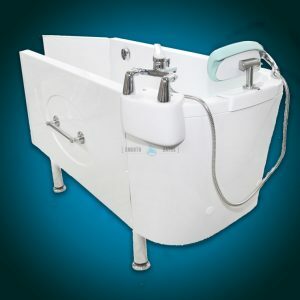 This model takes care of bather’s safety and allows the carer to work in a comfortable position. 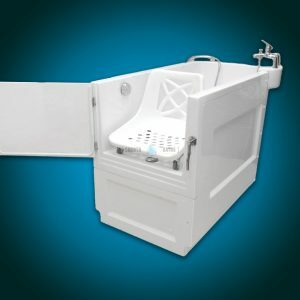 Scroll down to learn more about all features implemented in this model of assisted bath.